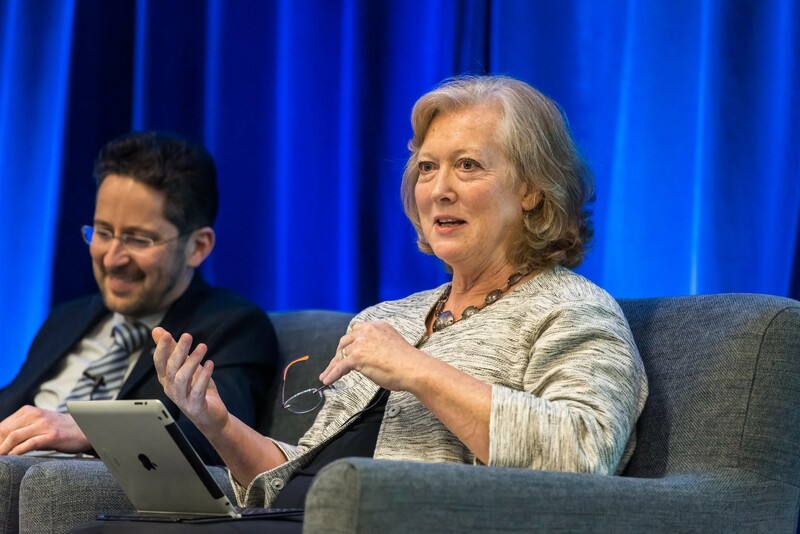 In four sessions, a slew of industry, academia, and civil society thought leaders dug into the megatrends that are driving the creation of a stronger, more equitable, and resilient world. The conversations addressed eco-asset management, food security, water integrity, and waste reduction. Emanuel Machado, chief administrative officer, Town of Gibsons, with Karen Clarke-Whistler, chief environment officer at TD Bank Group. Global markets value forests for their timber, oceans for their fish, and rolling hills for the ore that lies beneath. But a growing school of thought and practice assigns tangible financial value to intact, or largely intact ecosystems. “Sponsorship and investment is the new conservation,” noted James Tansey, CEO of NatureBank. An investment of just $5 Billion could eliminate 80 percent of global forest loss, Tansey added. Richard Mattison, CEO of Trucost, cited a pivotal 1997 study which pegged the market value of the global biosphere in the range of US$16 to 54 trillion per year. Standing timber is a liquid asset, but the ecosystem value of a forest is not, noted Tansey. “There are many services that nature provides to its citizens, such as stormwater management and drinking water – nature does a lot of the work for those municipalities, said Emanuel Machado, chief administrative officer with the Town of Gibsons. Financial planning rules currently do not allow the explicit valuing of natural capital, one panelist noted. Natural capital approaches do need to be pulled into accounting procedures, but it won’t happen overnight, the panelists agreed. To change a standard takes five to 10 years, one said. Before we can get leaders to adopt ecosystem valuation tools, we need to create a shift in values, in order to seed the desire to use the tools. Can innovation feed the world? It’s a question that needs considering. By 2050, our Earth’s population will crest nine billion—a 34 percent increase over today’s total. Five years ago, the UN Food and Agriculture Organization predicted that humans will by then need to produce 70 percent more food than we do today. In response, in the past year alone, investors moved some USD$2.06 billion into agricultural technology start-ups. 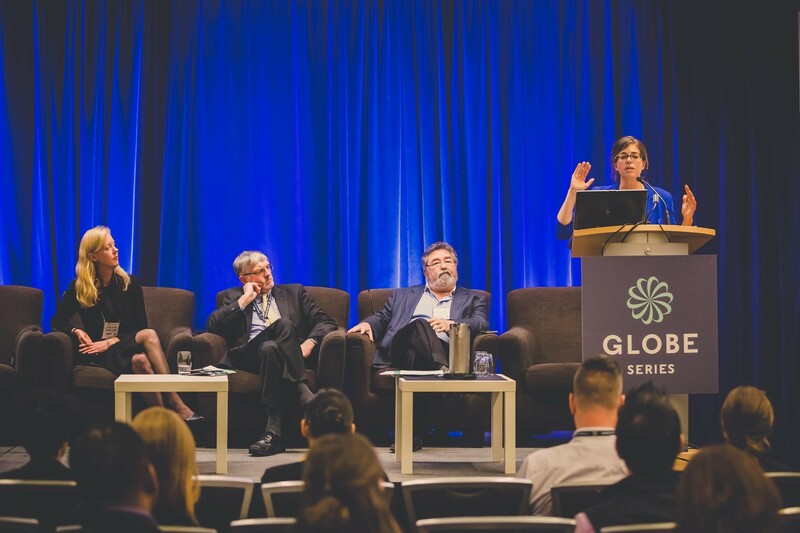 At GLOBE 2016, a few of the leaders set the table. 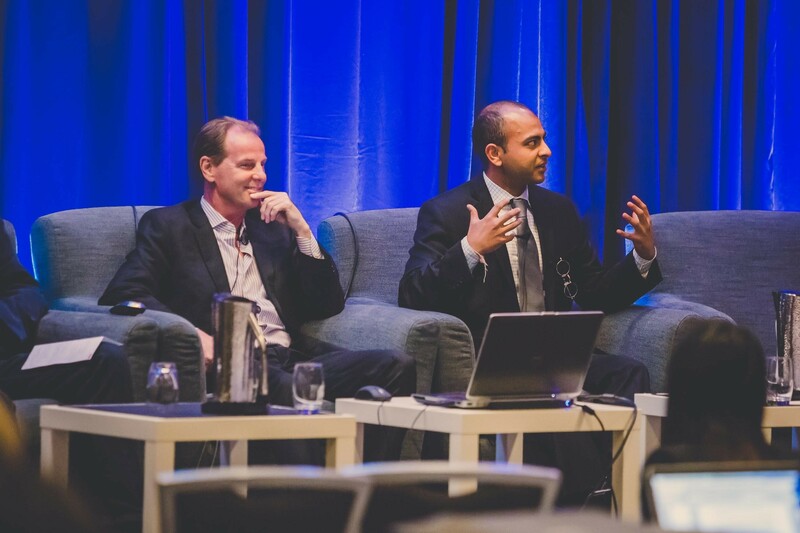 From left, Brad Marchat CEO of Enterra, and FarmX CEO Sanjay Rajpoot. Sanjay Rajpoot, CEO of FarmX, is helping farmers embrace technology and engineering so they save money and increase profitability. “Scale is vital,” said Wood Turner of Agriculture Capital Management, which owns blueberry, hazelnut, and citrus farms and packing facilities in California. Going big and embracing scale allows his company to ferret out and resolve inefficiencies, he said. Meanwhile, Vancouver, B.C. based Enterra Feed is commercializing the natural process by which insects feast on food waste by “farming” black soldier fly larvae and using the wriggling critters to feed fish or poultry. Enterra is adding larva directly to the food chain as fish or chicken feed. Basically, protein to feed the humans (via poultry and fish) and using Larvae poop as crop fertilizer. “People may start eating insects in the near future,” he said. (Side note: See California startup, Bitty Foods). Thomas Odenwald, overseas development partner with Community Markets for Conservation, or COMACO, a social enterprise working to reduce poverty in Zambia’s Luangwa Valley. It works to make farming more sustainable than poaching. COMACO provides farmer support services, constructing cookstoves and beehives to keep elephants away from crops.If farmers score high on a range of indicators, COMACO buys their products, and sells the produce in Zambian markets—then plows the revenue back into the program. In this session, panelists and participants wrestled with the issues of water security and integrity, and touched on governance, innovation, and the technologies that will make a difference in securing safe, reliable access to fresh water—the most precious resource. 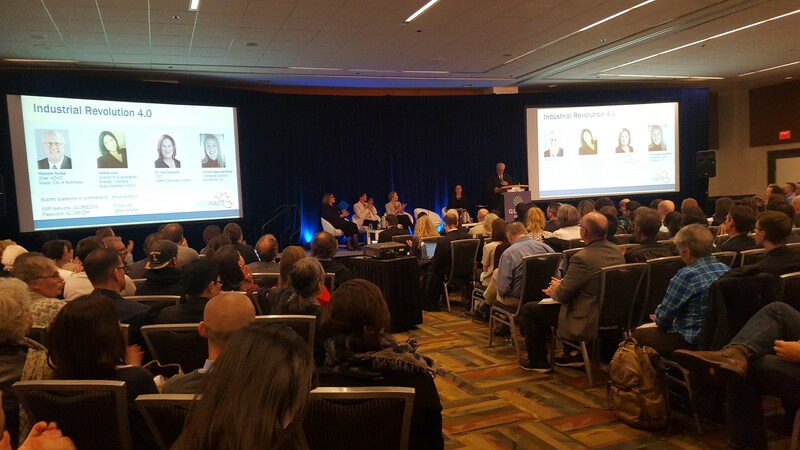 From left: Karen Bakker of the UBC Water Governance Program; Global Institute for Water Security director Howard Wheater; XPV Water Partners managing director John Coburn; Lindsay Bass of the U.S. Corporate Water Stewardship Initiative at WWF. John Coburn is managing director with XPV Water Partners—an investment firm focused on high growth water, waste, and environmental businesses. Coburn pointed to the vanishing Aral Sea, Pakistan in 2010, arsenic issues in Bangladesh, and floods in New York. Water connects us all, he stressed. 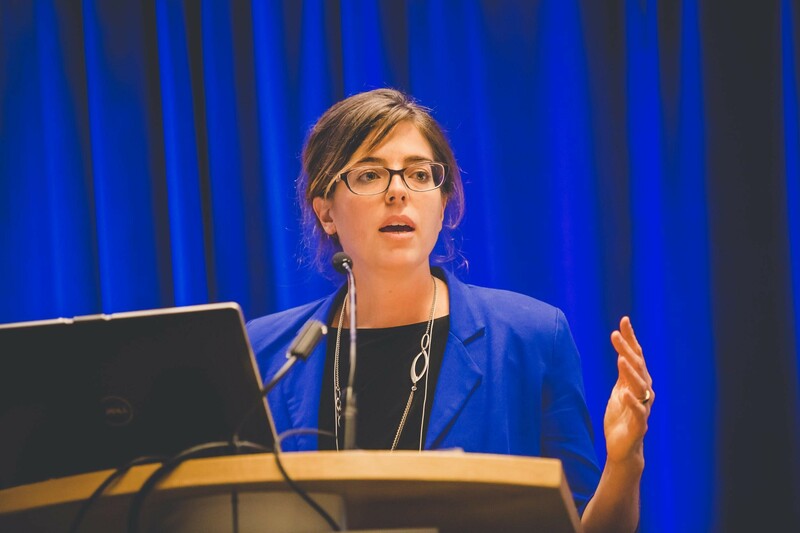 Lindsay Bass leads the U.S. Corporate Water Stewardship Initiative at WWF, and she’s working to put water security on the radar of the private sector. Bass cited Levi Strauss & Co. as an example of a company that is a true water stewardship and environment champion. Coburn said landscape will change dramatically in the next few decades, but few seem to understand the significance: “Canada is sleepwalking into an uncertain future. We urgently need national flood forecasting, and smarter technology for land and water management." Bass proposed “water basin report cards” for companies, so they know what needs to be done. Preventing waste is one of humanity’s most urgent issues, but also a powerful lever for change – with significant benefits for businesses, governments and citizens striving to boost sustainability and achieve ambitious climate goals. This session convened policymakers, business leaders, entrepreneurs, inventors and designers to talk through the current best practices in waste reduction, and advance durability, disassembly, and sharing. The National Zero Waste Council kindly sponsored this session, Industrial Revolution 4.0 - How Waste Prevention Can Boost the Bottom Line and Drive Circular Economy Innovation. Dagmar Timmer, the managing director of strategic initiatives at One Earth Initiative kept everything running like an elegant closed-loop system. The council recorded a video of this session and made it available. 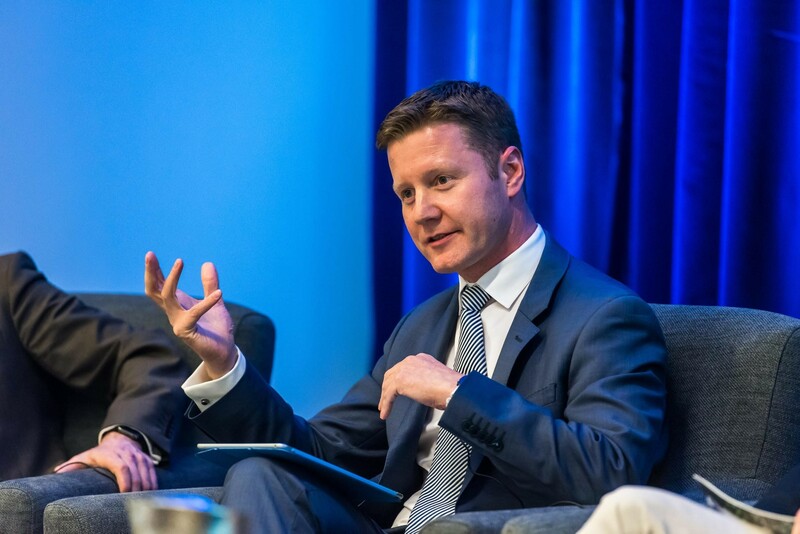 Malcolm Brodie, the chair of the National Zero Waste Council, said that resource scarcity will ultimately drive new practices in businesses. Gudz said Interface has saved more than $500 million in water efficiency measures alone since 1995. Interface looked to nature to eliminate carpet glues. 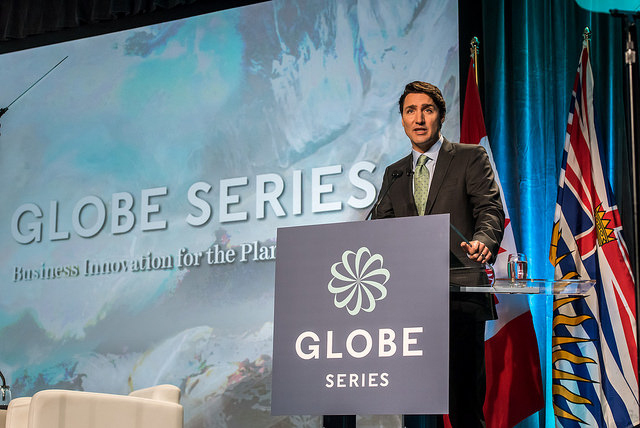 Visit our Gallery and flickr accounts for GLOBE 2016 images and our YouTube channel for GLOBE 2016 videos.